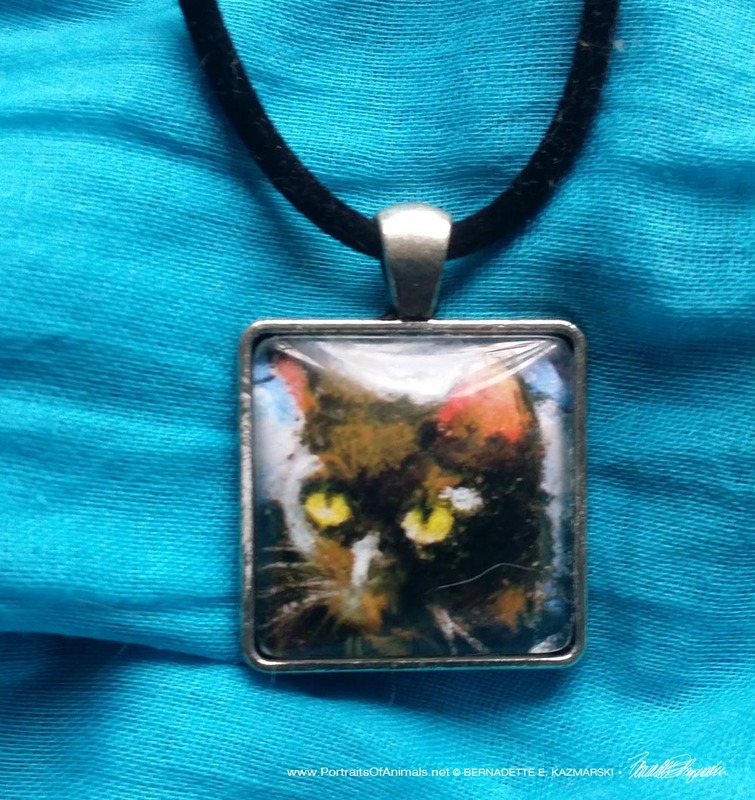 This small pendant is made with a print of my sketch “Mewsette in Sun”, inside a square antique silver metal frame and a 3/4″ x 3/4″ domed glass cabochon cover. It comes with a black flocked cord. I make a high-quality print of my artwork, trim it to fit the cabochon and frame and adhere it all together, then choose a cord or chain that coordinates with it. Mewsette lets the warm sun wash her back while she sits and simply looks lovely. 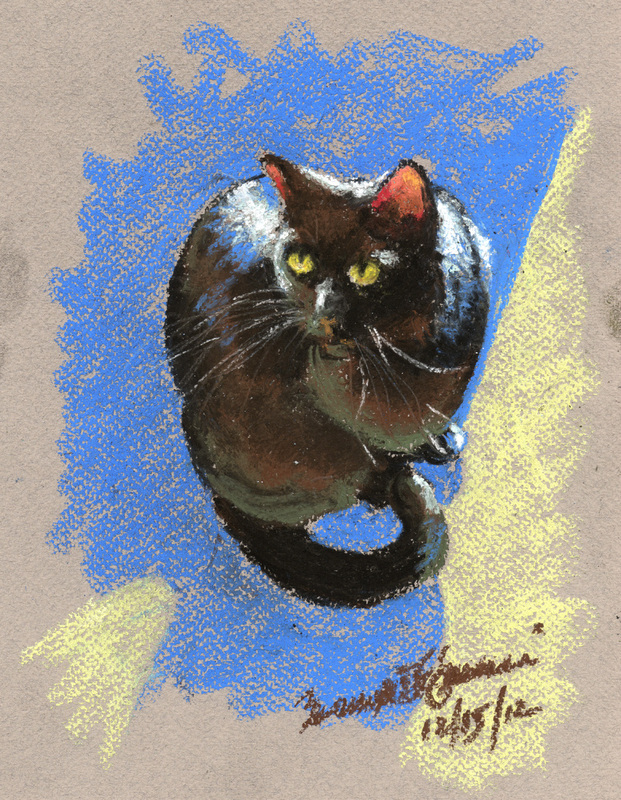 Read more on The Creative Cat. This entry was posted on September 21, 2018 by Bernadette.